"A healthy whole wheat crust that comes out soft and chewy on the inside and crisp on the outside. Use with your favorite pizza toppings or pizza recipes." 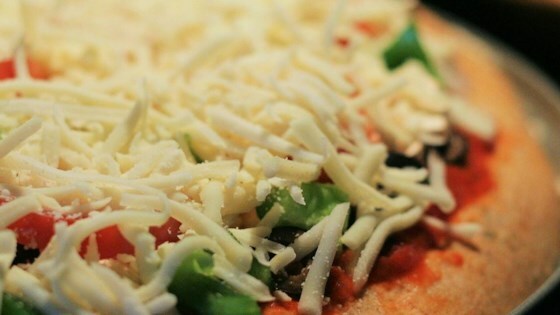 See how to make a healthy and delicious pizza crust. I use all whole wheat flour with 3 tbs of gluten and it is wonderful. Bake slightly before adding toppings.